Permit to Operate: This approval is required to complete the permitting process. Once approved, the owner will receive a physical permit and permission to operate a temporary food booth. HAACP/Variance: Use this application to request a variance, allowing your establishment to deviate from the approved standards, and/or submit a Hazard Analysis Critical Control Point (HACCP) plan showing how you will mitigate risks to food safety. How to Setup a Temporary Food Booth: find complete information on setting up a temporary food event. Temporary Food Setup Guide: View a visual setup guide for temporary food booth layout instructions and fire department guidelines. Additional Booth Form: Use this form if you need to request more booth permits than will fit in the space provided in the Permit to Operate application. Food Waste: Learn about food waste and how to do your part to reduce it. Fire Protection Guidelines: Find pertinent information on Austin Fire Department’s rules and regulations for special events. Spanish Version of Fire Protection Guidelines. Food Donation Facts: Learn about donating food for human consumption. Food Donation Guide: View the guidelines for food donation. Cottage Food Guidance: View guidance for food preparation operated out of homes..
General FAQ: View frequently asked questions about temporary food booths. 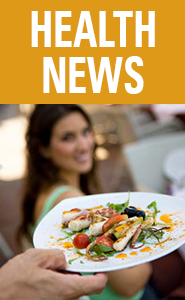 Cottage Food FAQ: View frequently asked questions concerning cottage food industry. To address a concern or request a second opinion regarding an inspection result or complaint, contact us at 512 978-0300 from 7:45 am to 4:45 pm Monday - Friday. Click on the title above to see the monthly food safety training schedule.